As any DC veteran knows, the infamous Beltway can make a few miles feel like a long drive. That’s why, when it comes to living near Washington DC, it’s essential to have car-free access to the city. 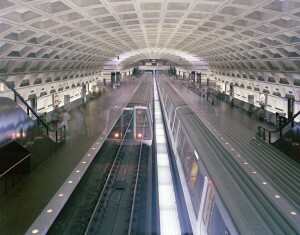 The DC Metro—including its Bethesda station about a half-dozen stops from the city center—provides speedy and predictable access to the District, which takes the guesswork and stress out of travel to Washington DC. After all, taking advantage of the daily cultural events in the District requires making getting to and from those events effortless. If you’re considering relocating to the Washington DC area, make sure your new home offers car-free transportation to embrace fully the benefits of living near the city. The District of Columbia is not uniform, and Bethesda, located just northwest of the capital, offers the quickest access to one of the capital’s most well-known districts, Georgetown. Before annexation in 1790 as part of the District of Columbia, Georgetown was the economic center of Montgomery County, which included Bethesda (then no more than a rural way station). For residents, proximity to Georgetown means you’ll avoid a crosstown trek to get to one of the trendiest parts of Washington. Whether for your own enjoyment or that of frequent guests, it’s another benefit of living not just near the city but near the right part of Washington DC. So what else is on the way toward the center of the nation’s capital? 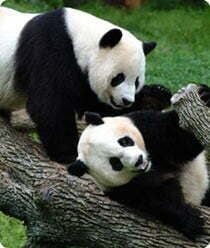 Among two of many great venues are American University and the Smithsonian National Zoological Park (often simply called the National Zoo). Both of these institutions are situated in the northwest corner of Washington DC, exceptionally convenient to Bethesda. American University, regularly noted as one of the nation’s top 100 colleges and one of the most politically active, provides an academic hub of events of interest to the general public. The National Zoo requires little explanation. A requisite first stop for visitors of all ages and part of the Smithsonian Institution, it charges no admission to visitors. Just as getting into DC by car can require a bit of patience, leaving the city at the end of the workday or on weekends can spark similar congestion. 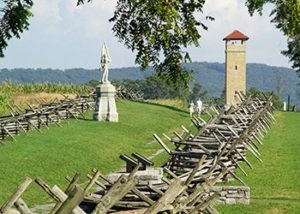 This is not a challenge for those already living outside the city, and residents in Bethesda benefit from ready access to Western Maryland, a rural region with a rich history of tourism—skiing at Wisp Resort, fishing at Deep Creek Lake, or history at Antietam National Battlefield, among many other recreational options. No matter how much one loves the city, the ability to quickly slip away into bucolic farmland ensures the proper balance between the frenetic stimulation of the city and restorative calm of the countryside. And when you’re really looking to get away, living near Washington DC means a seamless connection to the Northeast Corridor (and, for that matter, the rest of the world). 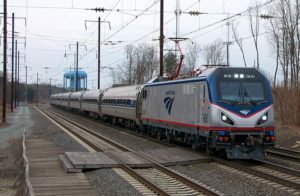 Amtrak’s Northeast Regional service connects passengers with all major cities along the northern Atlantic coast—from Baltimore to Philadelphia, New York, New Haven, and Boston. And for those trips beyond, Bethesda is only 25 miles from Dulles International Airport, a ready gateway to dozens of destinations throughout the United States and well beyond. To get to Dulles, Bethesda residents make a quick southwesterly trip, bypassing the city center. There are plenty of clichés that explain the benefits of living near the capital—the best of both worlds readily comes to mind. But not every suburban town is at the right distance or relative angle to its urban counterpart. Bethesda, in particular, is uniquely located to enjoy many of DC’s greatest benefits while also preserving a pleasant, suburban rhythm to life, and access to Maryland’s renowned countryside.